The great commission. I have thought through, prayed through, and struggled through this passage of scripture for years. It’s one of those scriptures that I want to get right. Now, I don’t want to get any scripture wrong, but this passage is one of those extra special passages that I want to make sure that I don’t mess up. Why I am so adamant about this passage? It’s simple really. Jesus gave up everything to come to this sin plagued Earth. He gave up everything as He lived a PERFECT life and yet was treated like villainy that can only be found in comic books (and even they are less violent). He gave up everything to take MY PLACE on the cross. He died FOR ME (and you). And even after all of this trial, punishment, and death- He made but one request- go make disciples. I don’t want to get this one wrong. My 9 year old son has the passage above memorized. He can say it flawlessly- he even knows verse 18 too. It’s a point of fatherly pride that he has this memorized. I dare say a great many Christians have this memorized, but like my 9 year old son, if he never understands the purpose behind the words, he has completely missed the point and the ONE request Christ made of us before He returned to the Father. It’s a point that I am very afraid we have forgotten or at best neglected as we have allowed culture to assimilate and alter the mission God has called us to do. Tonight, I want to take back the Gospel- more particularly the Great Commission. I love social media- many of you know this. I love it for very different reasons, however. I see social media as a massive mission field in the world today. Just like my friends serving in countries in Africa and other parts of the world I can’t even mention, I see myself as a missionary to cyber space. I don’t presume to think that I have given up or made the sacrifices that they have made to completely relocate myself to another land, learn a different culture, & learn a different language. They are the Superman compared to my Underdog in terms of their heroic choices. I do however, see a need for more and more Christians to become missionaries in the cyber space realm. There is more than ample opportunity to reach people for the cause of Christ on that mission field. Unfortunately, what I am finding online are Christians doing only half the job. Now, I will be the first to step up and tell you that I fail sometimes at putting my walk out there. I trip, I fall, I get up and I try to remind people that I am on this journey of redemption too. I do think we as Christians really need to think and pray before we type in a lot of cases that wind up on social media- unfiltered through prayer. From supremacist rants to the latest ridiculous outrage over a Starbucks cup, we consistently miss the mark of the mission we are called to by Christ. I say that because we have become very good at pointing to the TRUTH of Christ, but failing to point out the GRACE of Christ. While Christ is both truth and grace, until people see the need for a savior, they will never buy into the truth of the Savior. 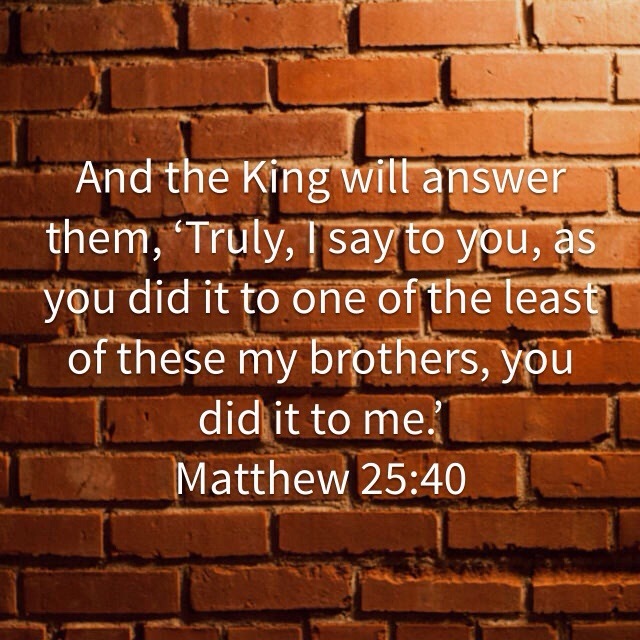 We desperately need to spread the WHOLE gospel of Christ and more importantly, we need to be willing to fulfill the great commission to its fullest extent instead of just offering up lip service to our savior’s one request. Don’t get me wrong- I am a very staunch proponent of the truth of Christ. For example, I am a very outspoken proponent against Planned Parenthood. I abhor abortion. We, as a society, are blowing up social media with public outcry over a coffee cup, when millions of little lives, miracles of God, are extinguished by abortion. Many of you have joined me in the public outcry against Planned Parenthood in efforts to have it defunded and shut down. And I both applaud and join you in those efforts, but let me ask you something. Have you prepared yourself for the aftermath if we win? Have you considered what YOUR role will be in the fallout if we were to successfully have Planned Parenthood shut down? I bring this up because there will be fallout. Will those scared pregnant young ladies be invited into your congregations? Will you help with getting them to doctors visits, help them with food or shelter, or even help them to get to the store? Will you show them that God’s grace is extended to all and will you share the Gospel of Jesus Christ with her and tell her how Jesus loves her and died on a cross? Will you give her a Bible AND walk through it with her by inviting her to a Bible Study? Will you invest in her life? Will you share the Gospel of Jesus or the Gospel of America? If we are going to make a stand for the Gospel, we must be willing to make a stand and see the Gospel ALL THE WAY THROUGH!!!! Let’s take back the Gospel and the Great Commission. Let’s make it what it should be and what Jesus intended it to be. Be bold- stand up for what is true. The Gospel is the infallible Word of God. But, don’t just stand up for part of the truth. Make a stand and then be willing to be part of the solution. In the end- we should not be willing to allow an organization like Planned Parenthood take better care of our women than we do and we certainly should not be looking for a company like Starbucks to spread Christ at Christmas. That job was tasked to us. We are in this together- let’s get to work and take back what is rightfully God’s.